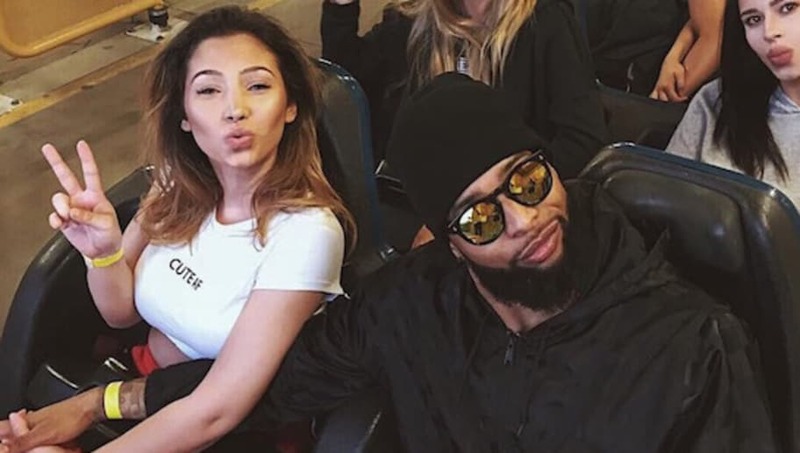 Odell Beckham (NFL) - Bio, Is He Gay, Who is The Boyfriend or Girlfriend? Odell Beckham is an American football player who has the unofficial honor of ‘the greatest catch ever made’ following a heroic one-handed touchdown catch he made whilst falling backward in his rookie season. The New York Giants’ wide receiver has further broken numerous other National Football League (NFL) rookie records such as being the first player in a rookie season to record more than 75 receptions, 1,100 yards, and ten touchdowns, among many others. Beckham was born Odell Cornelious Beckham Jr. to Heather Van Norman and Odell Beckham Sr. on November 5, 1992, in Baton Rouge, Louisiana. His parents were both stand out athletic stars; father – American football and mother – track and field, at Louisiana State University (LSU) where they met. Their genes were obviously passed on to their son as he participated heavily in basketball, track, football, and soccer as a child. He attended Isidore Newman School in New Orleans, Louisiana, where he achieved letterman status for his level of participation in football, basketball, and track, winning several honors in all the sports along the way. His performance in football was, however, what stood-out and brought college scouts to his games. After graduating high school, Odell Beckham had numerous scholarship offers but decided to attend his parents’ alma mater, Louisiana State University (LSU). In his freshman season, Beckham recorded 41 receptions for 475 yards and two touchdowns, having started 9 of 14 games. He was therefore named freshman All-SEC selection. The young athlete’s profile kept rising game after game and by his junior year, he had formed a partnership with Jarvis Landry to become the best wide receiver duos in college football. His versatility was also evident and it led to him being awarded the 2013 Paul Hornung Award. After his junior year, having led the SEC with 32 kickoff returns for 845 net yards, Odell Beckham decided to forgo his senior year and enlist for the 2014 NFL Draft where he was selected with the 12th overall pick by the New York Giants. He has since that time gone ahead to become one of the best wide receivers in the league as he shatters and sets different records. The major accolade currently missing from his self is a Super Bowl ring which he will be looking to win in the coming years. For a few years now, Odell Beckham’s sexual orientation has been called into question mostly because of his impeccable dress sense and hairstyle that truthfully, makes guys jealous as most girls would also wish they had it. During and before games, opposing players have directed gay slurs at him to put him off his game. Sometimes, he brushes them off but, however, during a game against the Carolina Panthers, Beckham let his emotions get the best of him as he went for a helmet to helmet hit with Josh Norman which led to him being suspended. Despite reporting the slurs used against him and with evidence of it on video, the league failed to take action in his favor. Odell Beckham fueled the rumors even more after he was touted on social media when he posted a video of him and a teammate singing Marvin Gaye’s Sexual Healing in the jacuzzi. Read Also: Aaron Rodgers Bio, Wife or Girlfriend, Brother, Net Worth, Is He Gay? Who is His Boyfriend or Girlfriend? Despite all the unfounded gay rumors, Odell Beckham has been linked to more than his fair share of gorgeous, good-looking women including some high profile ones like Khloe Kardashian and Amber Rose. In recent times, he seems to prefer the non-high profile ones who can still turn heads when they step into a room as he has been linked to a few Instagram models like Rosana Hernandez and Polyxemi Ferfeli. Beckham has reportedly been dating Ferfeli, a London’s Regents Business School graduate, since April 2017. The pair were first spotted together at that time at Six Flags Magic Mountain riding a roller coaster and holding hands. The media did not pay much attention to it because they must have thought it would pan out like every other past relationship of his. The pair continued to appear here and there but things looked like it got serious after Beckham took his lady on a vacation to Cancun, Mexico. Sometime in March 2018, a few tabloids reported that he was now in a relationship with Cuban-American IG model Rosana Hernandez. These reports have, however, not been confirmed.